"This show was always meant to have a beginning, a middle and finally, an end. Over the course of the last year, the story and the characters have been moving strongly toward that end and we've decided to listen to those internal voices and conclude the show on our own terms," Eick and Moore said in the statement. "And while we know our fans will be saddened to know the end is coming, they should brace themselves for a wild ride getting there –- we're going out with a bang ." The SCI FI Channel would like to inform you of a few exciting updates to the Battlestar Galactica All-Access Event, which will take place at the Cinerama Dome, 6360 W Sunset Blvd., Los Angeles, CA, on June 6th at 8 p.m.
Executive producers Ronald D. Moore and David Eick will be joined by stars from the series for an open Q&A session with fans, plus an exclusive first look at Season 4. The panel will be moderated by Lucy Lawless and the following talent will be in attendance: Edward James Olmos, Mary McDonnell, Jamie Bamber, and Katee Sackhoff. Please remember, Seating is Limited. Admittance is guaranteed for the first 500, so be sure to arrive early. There will be special seating arrangements made for Academy, Hollywood Foreign Press and Guild members. Q: You left “Battlestar Galactica” to star in the pilot “Football Wives.” Though your “Battlestar” character was “boxed,” the door is open for her to return. Are there plans for you to come back to BSG? A: I’ve heard whispers of it. But I was all gung-ho to go off and do my own thing on “Football Wives,” but it didn’t get picked up. So I don’t know. I’m kind of weighing all sorts of interesting options at the moment. BSG writer-prodcer Mark Verheiden will be writing the Teen Titans live action motion picture for Warner Bros.
Battlestar Galactica opens its doors to the fans at Los Angeles's Cinerama Dome on June 6 at 8:00 p.m. The Cinerama Dome is located at 6360 W. Sunset Blvd., Los Angeles, Calif. The evening will include an exclusive sneak peek of its epic fourth season. Seating is limited to the first 500 attendees; special seating will be available for Academy, Hollywood Foreign Press and professional guild members. E-mail battlestar@scifi.com for all the details. ETA: just got a response with the details: Thank you for your interest in Battlestar Galactica's screening event at LA’s Cinerama Dome, 6360 W Sunset Blvd, Los Angeles CA, on June 6th at 8:00 p.m. Come and meet the creators and cast of what TV guide calls “the best show on television.” Ron Moore and David Eick are scheduled to make an appearance, with more casting announcements to follow. Entrance is free for first 500 attendees. Please note, seating is Limited. Be sure to arrive early to ensure admittance. There will be special seating available for Academy, Hollywood Foreign Press and Guild members. Grace Park at the AZN Asian Excellence Awards. A report from the scene of the Saturn Awards with Edward James Olmos, Katee Sackoff and others. SyFy Portal reports that some BSG actors will also be joining Katee Sackoff on The Bionic Woman, including Aaron Douglas (Tyrol), and Michael Hogan (Tigh). Comic Book Resources previews some BSG comics. Last week during the Saturn Awards, Eddie Olmos broke the news to the IESB that Galactica would be coming to end in season four, but do all other cast members share that same belief? A few days after Eddie shocked fans of BSG everywhere and Katee Sackhoff and producer David Weddle confirmed the statement, David Eick went on record saying that no end date had been given to the popular series. Yesterday during the World Premiere for POTC 3 at Disneyland, the IESB caught up with President Roslin, er, I mean Mary McDonnell, on the red carpet and we spent a few moments with her to discuss the show and where she expects it to go in the next season. Great quick little interview where she gives some great insight about what we can expect to see with President Roslin. By the way, she looked incredibly hot. Hail to the chief! Here are a few clips from NBC's new Bionic Woman, showing Michelle Ryan and Katee Sackhoff fighting on a rooftop in pouring rain. David Eick talks about The Bionic Woman. Maureen Ryan of the Chicago Tribune has posted some preview clips from NBC's The Bionic Woman. BSG and Bionic Woman exec producer David Eick is interviewed in one clip, and other clips show Michelle Ryan as Jamie Sommers fighting her bionic nemesis Sara Corvus portrayed by Katee Sackhoff. The only other one hour drama I watch besides BSG is "Lost" on ABC. 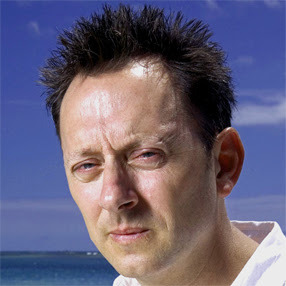 And lately, I've been catching up on podcasts, and listened to this excellent episode of Sci-Fi Talk in which Michael Emerson, "Benjamin Linus" on Lost, reveals that he's a huge fan of Battlestar Galactica. Check it out, it's a really cool interview recorded early in season 3 of Lost. In a nutshell, what we are hearing is that there's nothing stopping good DVD sales, decent ratings, good syndication packages or any combination of the above to keep BSG going in some form or another, similar to what we're already seeing with "Stargate SG-1." In fact, there's a chance that the show won't end at "Season 4" technically. It looks like the fourth season will be split up like the previous three seasons were (no surprise there), and either be considered "halves" like they always have, or there's a chance that SciFi might call the second half of the season, the back-10 [episodes], "Season 5." This is similar to what "The Sopranos" did (although it's all considered a very long sixth season), and what "Lost" will do over the next couple years. There are a lot of stories that can be told in the BSG universe, but they don't necessarily have to be told in context of the search for Earth. I have been assured by numerous people that when we reach the end of the 22 episodes, whether it's Episode 22 of the fourth season, or Episode 10 of the fifth season (or whatever variation is used, since two hours of that is the fall telemovie), the main arc of the series -- finding Earth and escaping the Cylons -- will be over. Okay, this is wild speculation on my part, but I think I've figured it out. There will be another season, or a BSG mini-series after this season is done. But, it will take place on Earth. In fact, it will be called Battlestar Galactica 2009, and will feature hover bikes, a CG recreation of Wolfman Jack, and kids born on the Galactica called, The Super Scouts. The reason Edward James Olmos doesn't know about this secret plan of Moore and Eick's is because they plan to recast Adama, with either Gil Gerard or David Hasselhoff -- depending on how the contract talks work out. In either case, the cheese burger budget alone will be monumental. But, if the upcoming Pegasus two parter does well in the ratings, and on DVD, clearly BSG will have a life after the series is over. So, it seems very likely future telemovies/DVD movies, or mini-series will happen. Firefly had one all too brief season, but since the show did so well on DVD, Universal had Joss Whedon make "Serenity". And this summer Babylon 5 returns with a direct to DVD film. So, I wouldn't worry too much about the future of Battlestar Galactica. Be sure and check out the video interviews IESB.net did with Katee Sackhoff, Edward James Olmos, and David Weddle. Battlestar Galactica and Bionic Woman executive producer David Eick walks back the comments Edward James Olmos made about season 4 being the last. "For those of you who have been paying attention over the years, this is not the first time Eddie has made an announcement about the possibility of the show's end," chuckled Eick. "I promise you that when [executiuve producer] Ron [Moore] and I make a decision about Galactica's future, we'll let you know." "I'm presently in Vancouver B.C. 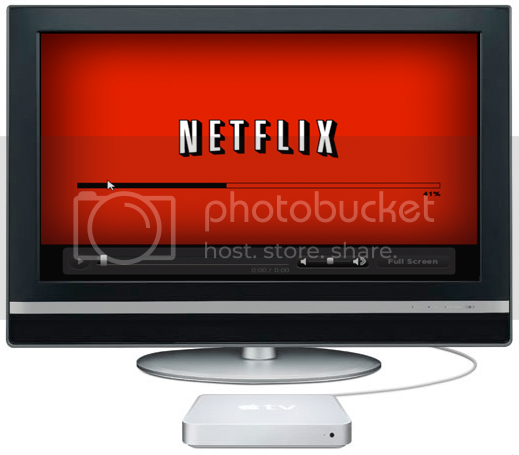 attending to the pre-production on the first episodes of next season, so as far as I'm concerned, we're just gearing UP. And the stories we have so far for the season are really, really interesting/fun/dark/exciting/cool. As far as anything else goes, I'm just trying to make the best show(s) possible and I'll leave it to others discuss "the future." I got enough on my hands with the present!" Episodic shows like Law and Order can run for 20 years. But, series that are basically telling one story like Lost and Battlestar Galactica have to arrive at a proper ending at some point. But, it's made all the more complicated as other major problems loom on the horizon. The first of the Bonus Podcasts with Mark Sheppard (Romo Lampkin) is now online for download in the feed of Ron Moore's podcasts and on iTunes. For "The Son Also Rises" Sheppard is joined by writer Michael Angeli. Katee Sackhoff talked to Sci-Fi Wire about her role in the upcoming Bionic Woman series from David Eick that NBC has picked up for next season. Sci-Fi Channel exec Mark Stern talked about what's coming up for BSG's 4th season to Fred Topel of CraveOnline. Check out this cool magazine spread of Jamie Bamber and Tricia Helfer shot a film noir style. Edward James Olmos and Katee Sackhoff have told If Magazine and IESB that season 4 will be the last for Battlestar Galactica. "It’s fantastic. I think they’re going to discover some very important issues about what the fan base really, really wants to see and what’s to understand about this show. We’re heading into the final season. This is the final season as we speak. All of us are very saddened by that, but we always knew there was going to be a conclusion and we would find Earth, so we will be finding Earth this season. I wish it would [keep going]. I could do 10 years like this season. I think that this is some of finest usages of television that I have been a part of in my life. Bar nun. I’ve been doing this for 42 years. I’ve done some really good work in television and motion pictures but there really is nothing like this show. I can honestly tell you that this is one of the finest dramatic pieces work on humanity I’ve ever seen in my life." "My involvement is minimal; it’s more of a situation about what happened to the Pegasus prior to getting to us. It’s a very powerful piece of work. The writing is…these kids are doing very well! Ron Moore, I don’t think he’ll ever have this opportunity again." Read the full report at IF. Eddie and Katee were at the Universal Hilton for the Saturn Awards, where BSG won best cable/syndicated series. Full lists of winners are at Variety and Sci-Fi Wire. One of the most curious sights captured by TV news cameras during the 1992 Los Angeles riots was that of actor Edward James Olmos standing on West Adams Boulevard, near the First AME Church, holding a broom. It was Friday morning, the day that Governor Pete Wilson would ask for federal assistance to help restore order and Rodney King would ask if we all could get along. Olmos had spent much of the preceding 36 hours on the go, shuttling between TV and radio appearances, imploring listeners to stay in their homes. “If you’re going to go out and get something because you can,” he remembers saying, “at least come back to your house once you’ve got what you want.” Then, as the sun rose on day three of the violence, he started sweeping. Read the full article at the L.A. Weekly's website. And as a reminder, next week you can catch up with all of season 3 of BSG and watch three daytime BSG season three marathons, May 16–18, starting at 8AM/7C daily. Set your VCR's, and DVR's accordingly. Aaron Douglas talks to fans in this Sci-Fi Pulse video. "I wouldn’t bother with the glum, violent “Sentinel,” unless you’re the most ardent Sackhoff fan (and even the patience of superfans may be sorely tested). ..."I figured that any movie that relies on an extended scene of Sackhoff’s freedom-fighter character taking a sponge bath is not really all that interested in coming up with an even moderately compelling plot resolution, so I bailed halfway through the flick." Wait a minute now. Let's not toss out the sponge bath with the bath water just yet... That scene might just make the movie worth checking out... at least for that scene. In other Katee Sackoff news, MovieWeb reports on her upcoming Lifetime movie, "Be Careful What You Wish For" coming July 16th. 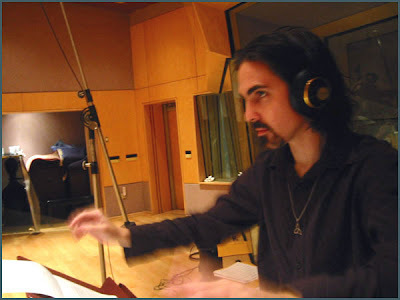 Bear McCreary talks to the Slice of Sci-Fi podcast. Bear is also interviewed by Ain't It Cool News about his score for the film "Rest Stop" and his work on Battlestar Galactica. All About Tahmoh Penikett reports that he guest stars in Smallville, Thursday night on the CW. Gaius Baltar's mysterious defense attorney, Romo Lampkin, defies his gag order and reveals the truth. Hear actor Mark Sheppard's exclusive commentary on the last three episodes of season three in these bonus podcasts. Sci-Fi.Com's BSG site as a series of new BSG trivia quizzes of varying degrees of ease and difficulty. More about the Pegasus 2 parter, "Razor" is revealed by Filmjerk.com. Michael Rymer is interviewed by SciFi World about directing BSG and about his plans to direct the first episodes airing in January of 2008 for season 4. The first two episodes of BSG season 4 that will air together as a two hour movie (and then put out on DVD) about the Battlestar Pegasus and Admiral Cain is titled "Razor". This site has some casting clues showing that the producers are seeking to fill roles for "young Helena" -- which would be young Admiral Cain, her father, and "young Adama" among other parts. "Razor" is probably a reference to the episode "Ressurection Ship Part 1" when at the end Cain ordered Col. Fisk to select a team of the best marines, "Razors" to go with him to Galactica to terminate Adama's command. Entertainment Weekly ranks the best SF films and TV shows over the last 25 years. Battlestar Galactica was the highest ranked TV show, coming in second overall just behind The Matrix. Sci-Fi Wire and SyFy Portal have more. In other news, BSG producer Mark Verheiden's comic book project "ARK" is going to be turned into a SF film for Columbia pictures, Variety reports. Katee Sackhoff talks about her role in the new Bionic Woman to Geek Monthly. Battlestar Galactica executive producer Ronald D. Moore was once a co-executive producer of Star Trek: Deep Space Nine. On YouTube, dwlieu created this DS9 intro, in the style of BSG. Sinnymaker on the LiveJournal Battlestar Blog reports that Bear McCreary will be on the Singularity Show online Wednesday. This Wednesday on the Signularity show, we have a fat and juicy interview with Bear McCreary, Composer of Battlestar Galactica's Soundtrack with DJ aMUSiC on Split Infinity Radio (www.siradio.fm). Bear will give insights on his work and answer to almost 40 questions, half of which were submitted by listeners. So make sure you keep your ears peeled this Wednesday, May 2nd at 20:00 GMT for the Singularity show. Here are some demos of Bear's scores music via Gaius Marius on YouTube. Katee Sackhoff at a Creation Convention. More video of Katee and other Creation events. Bear McCreary is the the guest on the latest episode of the Galactica Watercooler podcast. You can also get the podcast on iTunes.